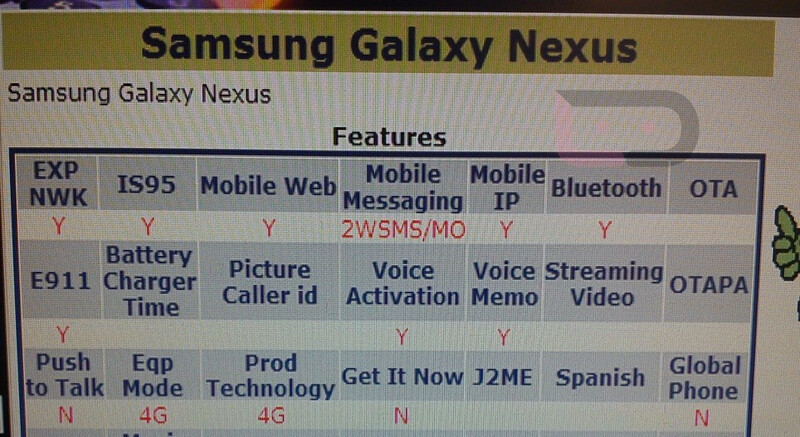 A screenshot from Verizon's Device Management system now clearly lists a Samsung Galaxy Nexus, and 4G LTE connectivity seems to be a go, but it won't be a world phone. Could this be a sign that Verizon will indeed have an exclusivity period with the most awaited Android phone out there, and the GSM version will be coming at a later point? After all, Android's proliferation in the US started with the DROID line on Verizon, so Google might be paying a little tribute here, or it just wants to flaunt the goods that come with LTE first. We'll know more come Tuesday, but in the meantime pictures have started popping up on Picasa, whose EXIF data shows a Galaxy Nexus origin. One of them has since been pulled, but incidents like these are usually indicative of imminent launch. Verizon's Samsung Galaxy Nexus is expected to feature a monstrous 4.65" 720p HD Super AMOLED display, and a 5MP camera capable of 1080p HD recording. 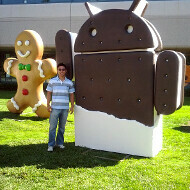 Oh, and that Android Ice Cream Sandwich you see the statue of in the picture. Boo, not a world phone. If they don't release the gsm version in a month or two I'll be SO pissed. But do you think they really care if you are pissed?? Is anyone really surprised? CDMA, GSM and LTE radios/antennae/SIM cards all on one phone hasn't happened yet, and if the Prime is as thin as it looks I doubted it would be the first. 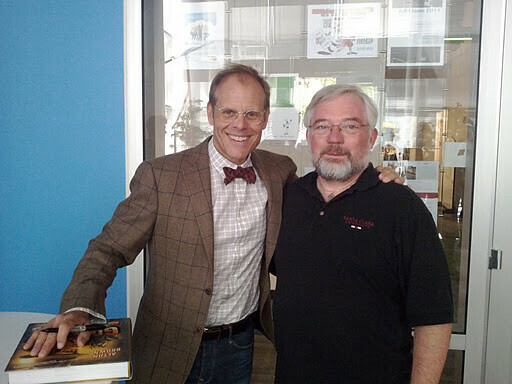 Alton Brown seems like he'd be an Apple fan... either way, SWeet! I wonder what samsung took out of the Prime because of apple? that was a baseless rumor. i doubt they took anything out. they didnt wait till last minute and then go "woops, hey we should remove things". Anything they wanted removed would have been gone long ago. and one that made no sense. patents are public record. apples plans were kept under wraps, but its not as if they had surprise patents. Samsung should rename to "Samsung Nexus" remove the word "Galaxy" due to Apple ban on Galaxy line of smartphone. So Samsung gets such horrible reception but you owned not 1, not 2, not 3, not 4, not 5 but 6 Samsung phones. Either you are an idiot for repeatedly buying bad phones or a liar. Release hspa+/lte model for at&t! I'm with you on this. please, Please, PLEASE release on AT&T......day one. Sounds like you need the Nexus more than AT&T does at the moment. They can focus on the SGS2 - which they thankfully left almost untouched from the international version - as their premium offering for a while. It would make sense for them to intro a GSM-LTE version for AT&T sooner than later though. Normally I'd take a dumb smartphone over a smart dumbphone, but holy crap the Intercept has a lousy screen. This is a serious contender for our cash if we meve to Verizon, although the Vigor and the Bionic also remain in the hunt. Will depend totally on those three devices reviews and user reviews. I'm starting to wonder if the Nexus is getting pushed up and the Vigor getting pushed back in the schedule... we haven't heard a peep from the Vigor in the last 2 weeks, while the Nexus leaked all over and is getting introed in just a few days. This needs to come to T-Mobile on day 1, we were screwed on the SGSII with the Snapdragon processor replacing the Exynos, give us a phone that can contend with the best of them! Lol this rumor is a joke they had the same type of news when they stated and showed pictures of radio shacks inventory that listed the iphone 5 what happened to that? Until I hear it officially launched I will be excited.